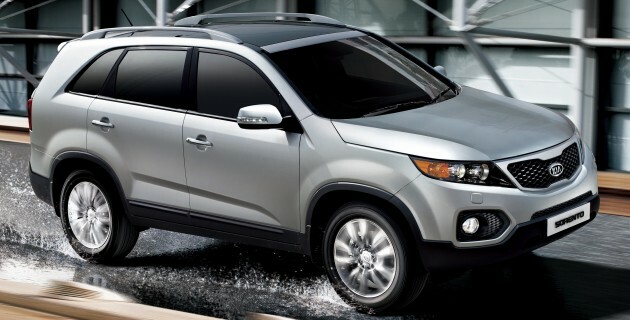 Kia Motors America is recalling 377,000 Sorento SUVs due to an issue relating to its transmission, which can cause the vehicle to roll unintentionally when it is parked. The defect has resulted in three injuries, 54 warranty claims and 14 customer complaints in the US, according to the company. In the affected vehicles, if excessive force is applied to the gear shift lever, the brake-shift interlock mechanism may be damaged, allowing the transmission to be shifted out of “Park” without the need for the brakes to be depressed. As a consequence, should the vehicle be shifted out of Park unintentionally, it could roll and result in a crash. The fix involves replacing the brake-shift interlock mechanism. A quick check with official local distributor Naza Kia Malaysia confirmed that this recall does not affect Kia Sorento models sold in Malaysia. Each time when I read car manufacturers are recalling their cars for purported faults, Malaysian cars rarely seem to be affected by the recall. Today, Kia (Sorento) & Mazda (Mazda 3) are recalling their vehicles but as expected, Malaysian cars are not affected. Only reason I can think of is, perhaps, our cars, albeit more expensive, used older technology! We usually follow Japan specs, which concern on reliability. As I said, you won’t go wrong with sushi cars. Those local car (especially 100% locally R&D) no recall means better? Think again. You never do body checkup doesn’t mean you are cancer-free. Mazda not sushi meh? Also recall what! They say Mazda is more conti and less sushi. So there you go. Malaysian cars no need to recall. They just CHEAT their way through! NCAP? Totally agreed with you.It seems that Malaysian car assemblers are already setting high standard that their production line engineers won’t approve any car out of factory.We should send then to their HQ overseas to teach the engineer the way we do thins here. Moreover, the engineers later realised that some safety features is not required after their ASEAN CNAP test like top tether fitment.Therefore it was dismantled as advised by their in house engineers.Who are these culprits,pls tell us. Next Post: SPYSHOTS: Volvo S90 interior caught undisguised!